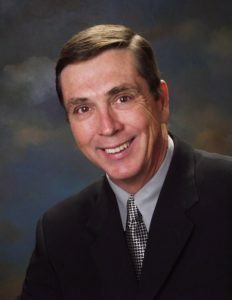 Larry Oxenham, Author, Senior Advisor is one of America’s top asset protection experts, having helped thousands of doctors achieve financial peace of mind by teaching them how to properly structure their assets for lawsuit protection and tax reduction. He has authored and co-authored several articles and books on the subject including The Asset Protection Bible and How to Achieve Financial Peace of Mind through Asset Protection. His career has been credited with helping thousands of people save millions of dollars. Larry Oxenham is a nationally recognized speaker who has trained thousands of professionals at hundreds of conventions, conferences and seminars across the country. ⦁ Sources of lawsuits dentists are exposed to and how to prevent them. ⦁ How dentists can protect 100% of their professional and personal assets from lawsuits. ⦁ How dentists can protect their practice, property, and personal assets in the event of a judgment in excess of liability insurance or an exclusion in a policy. ⦁ How to avoid the most common asset protection mistakes made by dentists and their advisors. ⦁ How dentists can minimize vicarious liability for the acts of other professionals and staff. ⦁ Five strategies dentists can use to reduce income taxes each year. ⦁ How dentists can eliminate the capital gains tax on the sale of a business, real estate, stocks or other assets. ⦁ Tools dentists can use to pass assets to heirs tax free. ⦁ How dentists can effectively use corporations, trusts, wills, and family limited partnerships. 1. Maintaining focus on improved patient care rather than lawsuit defense. 2. Structure practice for lawsuit protection and prevention. 3. Reduce liability insurance costs.